It’s worth point out that most skewed portrayals of farms use the words “corporate farm” with the “corporate” as a pejorative term. To the uninformed consumer Corporate = Evil. However it’s important for them to know that the vast majority of farms, including family farms ARE corporations. Why? Because the current tax laws make incorporation the only means by which those same family farms (organic farming operations as well) can survive financially. Chilpolte is also a corporation, but they don’t point that out to their video audience, now do they? They are a part of a multi-billion dollar food chain. Therefore I would recommend that in one of your next videos, you kindly point out the fact that Chilpolte is a corporation as well, just like thousands of family farms like yours and thousands of small businesses across America. Being a corporation doesn’t automatically make a company evil, now does it? If that were true, then Chilpolte would have to acknowledge that they too are evil by their own inference. All, including Chilpolte, are trying to financially survive in a challenging marketplace. Greg, I completely and totally agree with everything that you have to say about these topics and misconceptions that consumers and society is being fed about beef and production of food. Thanks for supporting family farming and helping to debunk the myths that people believe about cattle operations like your family’s and mine. Keep up the good writing, and I’ll keep on supporting! While I agree that a farm run by a family is a family farm, no matter how small or big I have to say that running and maintaining a farm is a large business. When I was little, there weren’t many remedies for a sick cow and they were less industrial based. We removed the cow from it’s purpose and sometimes that meant it was no longer part of our herd. Conventional farmers (1000 plus definition you gave) today farm for the benefit of conventional American demands. After all the big farms are a business and must financially support their owners. They must produce more for demands and support the multiple family owners that run them. While today’s farmers need science, technology and innovation to keep going, stay big to support themselves and feed the masses, they seem to stay within the realm of producing safe food as it is currently stated by our government. Are they producing the best and healthiest products for the masses? Probably as defined by law. To be a farmer is a hard job, with or without technology. Chipoltle’s is making it’s decisions on what they see as best for the consumer and to take advantage of the new consumer that cares where their food came from.. I applaud them for taking on this challenge and with time, we will probably see great results. 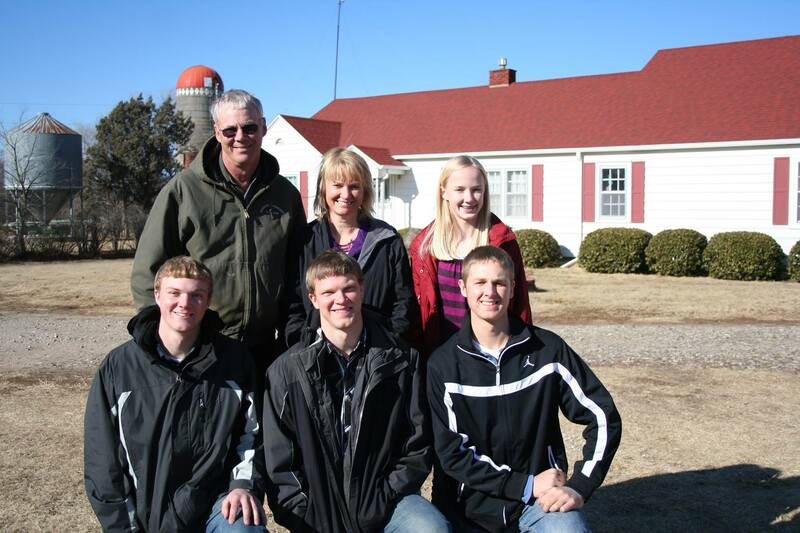 I applaud the Peterson Bros for opening their lives up to let the public see how a good conventional farm works. I would challenge you guys to try the older farm methods on a few cows that you use for your own consumption using the organic rules, and then put that on your dinner table to see the difference. One farm in Iowa produces all the eggs for all the McDonald’s west of the Mississippi River including Hawaii and Guam. They have 1.5 million laying hens and the farm is working their way towards 6 million birds on site. It is majority-owned by a family, is it a family farm? I’m also a fifth generation farmer and I feel my views and practice were presented accurately in Chip Randell’s farm rather than the Peterson Farm.